Today the news was good. My CEA count is <2.5 ng/ml which is cancer free level. As I understand it, that is good news that this will be an easy treatment. There is a 3″ cancer mass in my Hepatic Flexure of my colon. Just under the right rib cage. They found a spot on my liver but are pretty sure it is a harmless hemangioma, but ordered and MRI to be safe. Next step, MRI, then first consult with the best cancer people in the world. Basically, you can pencil me in as another survivor of colon cancer. 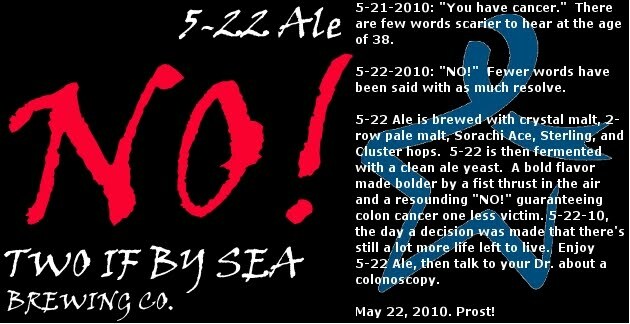 Here is an updated label where I added the colon cancer awareness ribbon. Today is my CAT scan. Hopefully we can find out just how bad this thing is and how quickly I can beat it. The Sima is good. Reminds me of 7UP. Very fizzy, very light lemon flavor. It would be really good on a hot day. Today I brewed up Sima in honor of May Day. 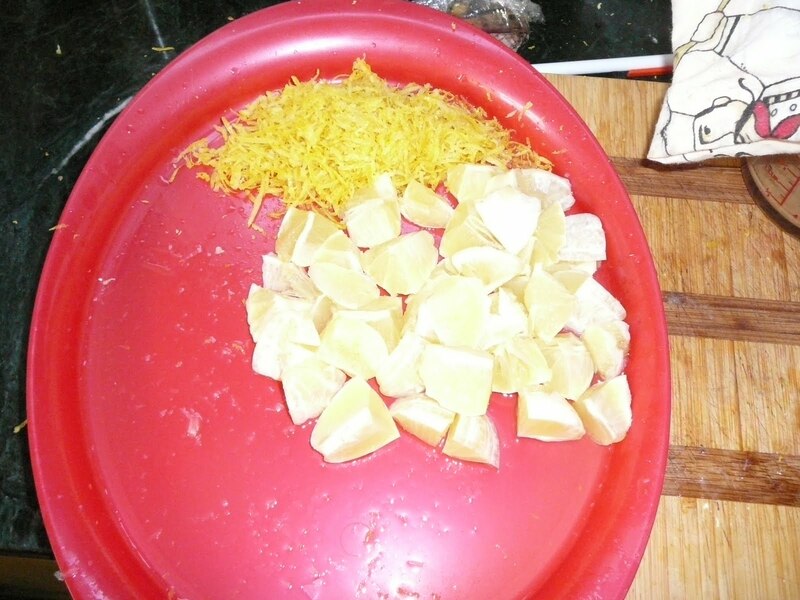 5 lemons zested, de-pithed, seeded, and chopped up. 1 cup white, 1 cup brown sugar. 2-1/4 gallons of water boiled. 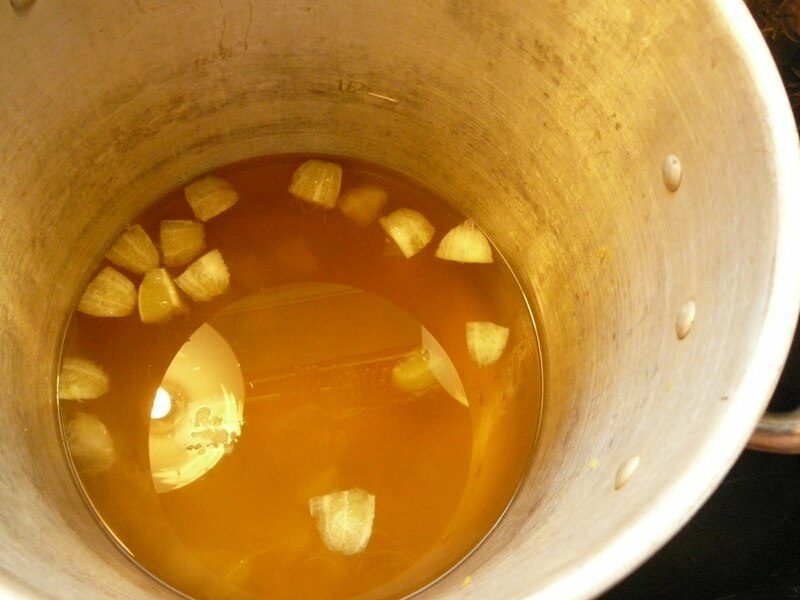 Add lemons and sugar to the water and stir to dissolve. 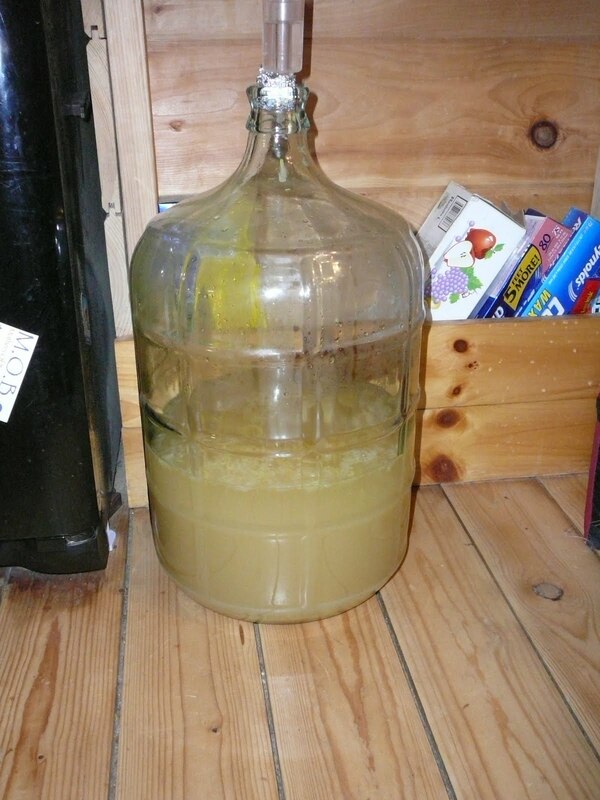 Pitch it all into the fermenter for 48 hours. I pitched mine onto part of a Nottingham yeast cake. Here is the mixture cooling. Here it is in the fermenter. First fishing trip of the year! I got a 12″ large mouth bass and a 12″ pickerel. 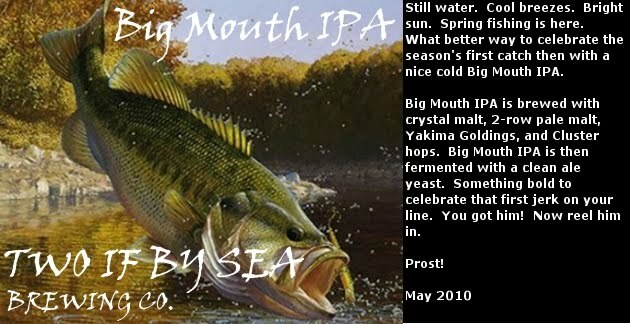 Here’s the label for my brew today.